Modern architecture is full of surprises but some of the interesting buildings around the world started life as a joke. Shaun Soanes investigates. In the 1930s, a British traveler in Southern California spoke of his confusion at the fantasy world he discovered there, created by local architects. Last month a new, updated version of California Crazy, a book first released in the 1980s, recounts the unnamed visitor’s puzzlement. “If, when you went shopping, you found you could buy cakes in a windmill, ices in a gigantic cream-can, flowers in a huge flowerpot, you might begin to wonder whether you had not stepped through a looking glass or taken a toss down a rabbit burrow and could expect Mad Hatter or White Queen to appear round the next corner,” he wrote. 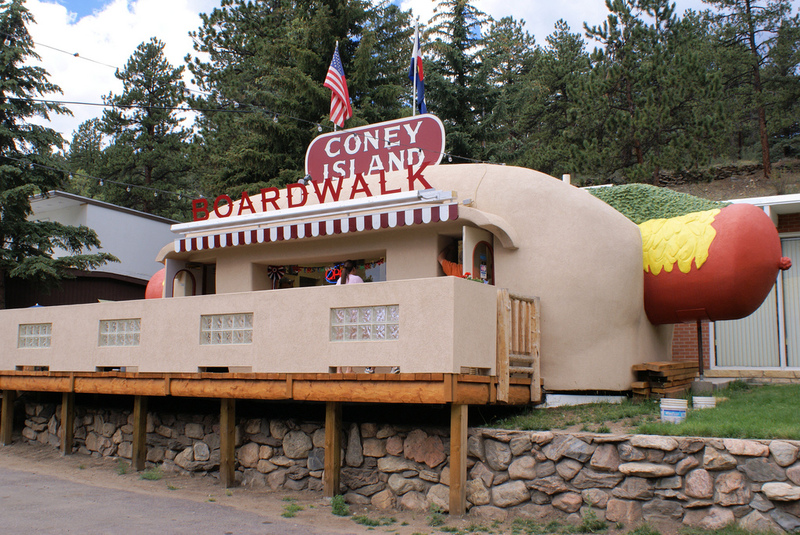 It’s an accurate way to describe the delights of what is now known as novelty architecture – the a splendidly patronising name for buildings shaped like hot-dogs, animals, items of clothing or built to mimic other famous landmarks. According to Cristina Carbone, a professor of art and architectural history at Bellarmine University in Louisville, Kentucky, this type of design dates back to at least the Renaissance. By the 18th century, says Carbone, English gardens were sprinkled with follies, such as dining pavilions masquerading as pagodas, churches, and pyramids. 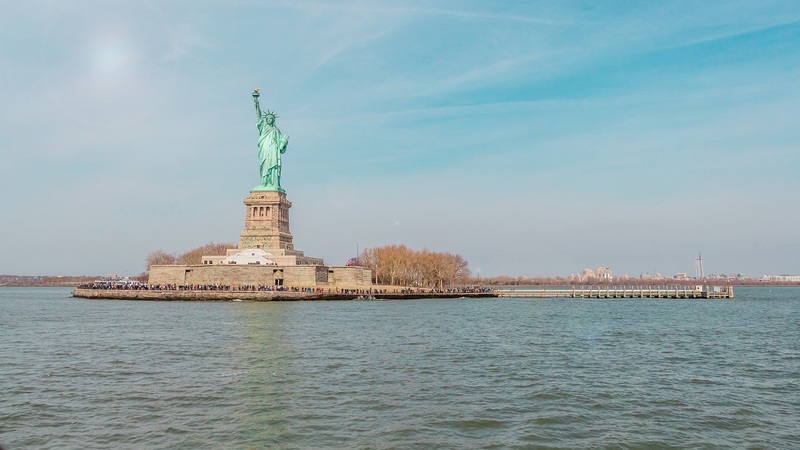 In America however, the first known example was a six-storey wooden elephant which towered over the seaside community of Margate, New Jersey, in 1881. 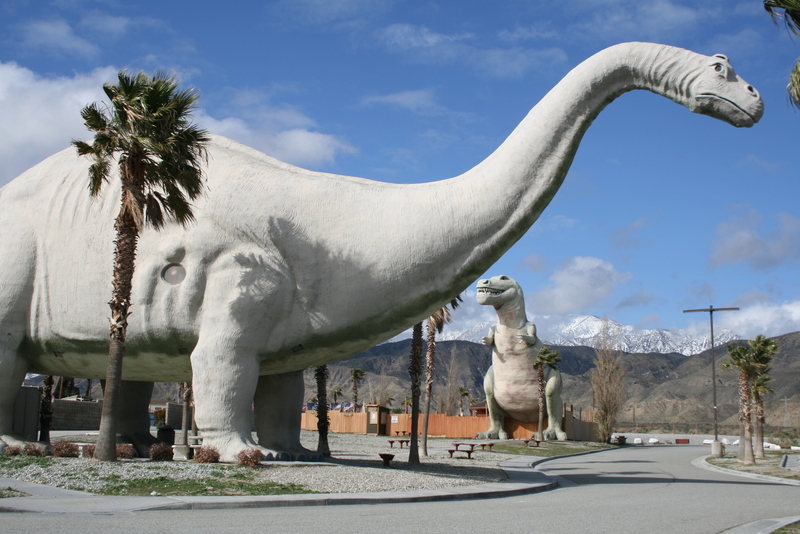 Since then, the home of this type of architecture has become California where such roadside curiosities are more densely clustered than anywhere else in the world. It was at the Panama-Pacific International Exposition, held in San Francisco in 1915, that a “Fun Zone” included a 120-foot golden Buddha and a two-storey horse. 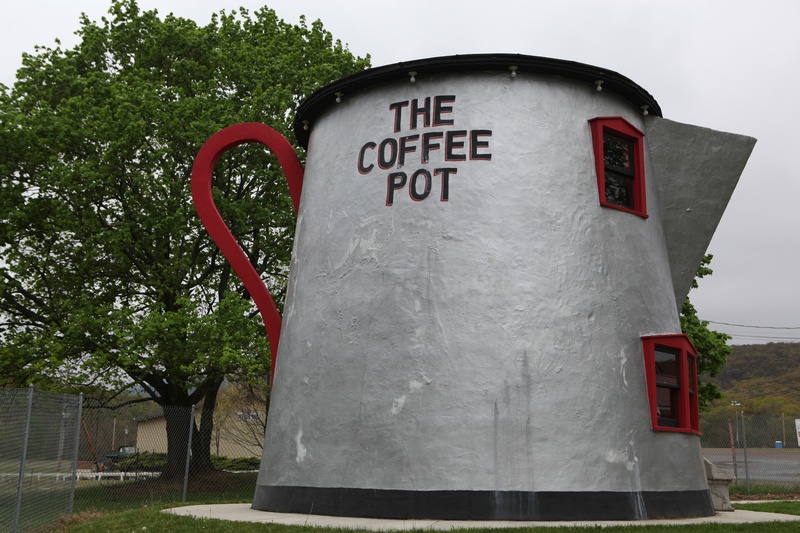 Then, over the ensuing decades, advertisers jumped on the bandwagon, creating essentially usable buildings in eccentric form to highlight brand messages. 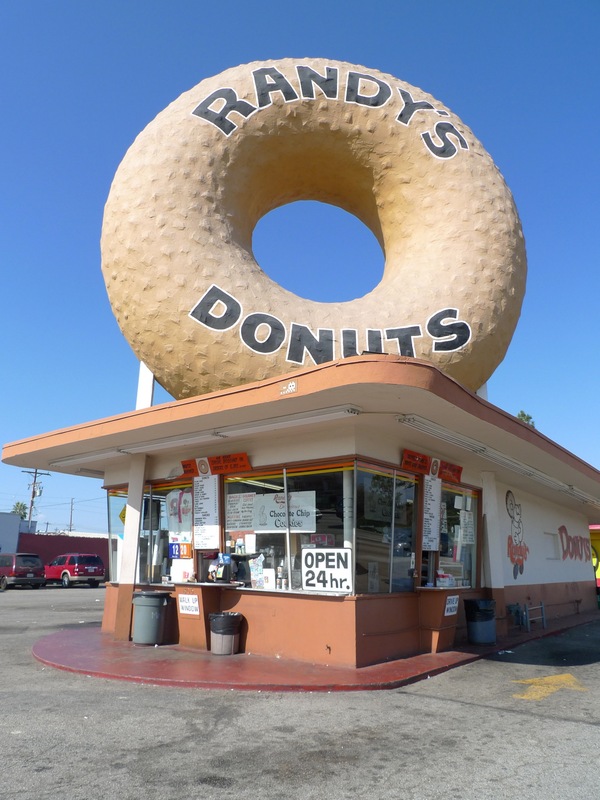 Constructing novelty architecture near to roads became one way of attracting motorists to a diner or coffee shop for example. 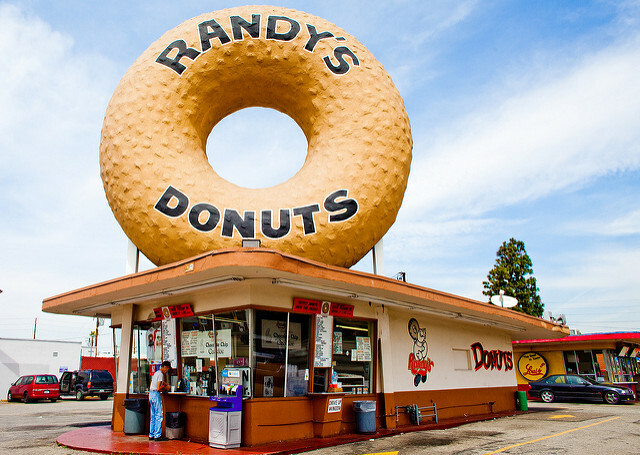 One of the most famous remains the gigantic, knobbly doughnut visible in Inglewood, near LAX, mounted on the roof of what is now Randy’s Donuts. Is it just a joke? 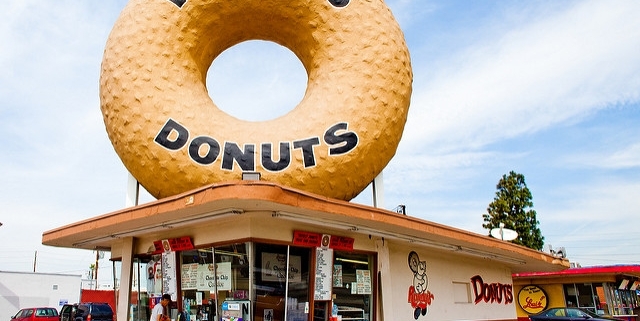 In California Crazy’s essays and photos, Jim Heimann, executive editor of Taschen America, and late architecture historian David Gedhard make a compelling case that these crazy buildings are more than just gimmicks. They argue that in fact, they’re cultural artifacts of a period that changed the landscape of America. Mimetic buildings were, for a time, both functional architecture and large, loud advertisement. And let’s consider the Statue of Liberty for a second. This is a replica building that is part sculpture and part monument, which like many subsequent examples of novelty architecture, has an accessible interior and has become a tourist attraction. Most people would agree that it is not just a beautiful building – but has become synonymous with New York. The trend for creating unusual buildings has been adopted around the world – and often they prove to become huge talking points. The Tete au Carre in Nice, France was designed by architect Sacha Sosno Tete au Carre and literally translates as ‘Thinking Inside The Box’. 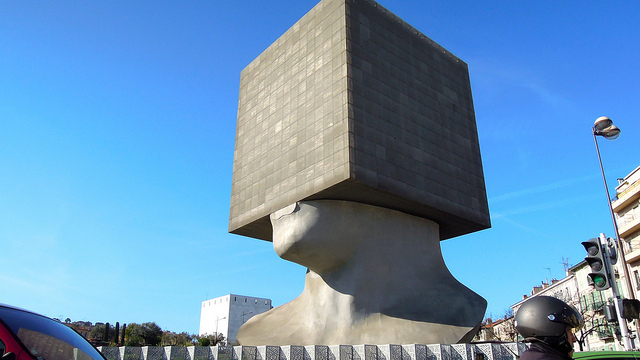 The 26 metre building is a Central Library of Nice which is located in the ‘head’ comprising three storeys of books. 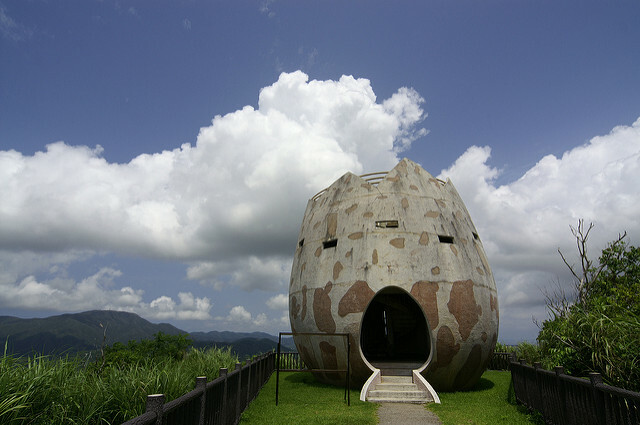 The Banna Park Bird Watch on Ishigaki Island, Okinawa, Japan is an egg-shaped building used as a birdwatch point. The watch point has a shape of a hatched egg with an egg-shaped entrance and it was made to track the migrating birds at Banna park. Bremen is a science museum located in Bremen, Germany that has around 250 exhibits. The building designed by Thomas Klumpp has an interesting shape that reminds of a grinning whale, an association that’s reinforced by the water source it stands on. Another museum is from Curitiba, Brazil which has an eye shape standing on a pedestal. The focus of the museum are visual arts, architecture and design. 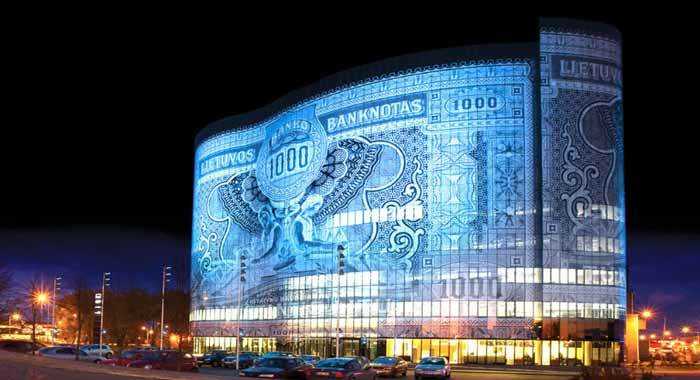 An office building called “1000″ or Banknote was completed in 2008 in Kaunas, Lithuania and is shaped as a 1925′s Lithuanian Litas 1000 banknote. 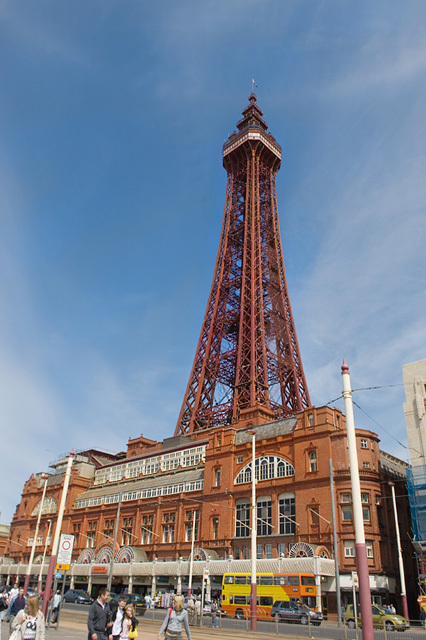 The closest thing we have to novelty architecture in the UK is probably the Blackpool Tower – a replica of the Eiffel Tower in Paris. It is 518 feet (158 metres) tall and is the 120th tallest freestanding tower in the world. The entertainment complex in a red-brick three-storey block comprising the tower, the ground floor aquarium and cafeteria, Tower Circus, the Tower Ballroom and roof gardens that was designated a Grade 1 listed building in 1973. We also have areas of the UK where we incorporate large scale novelty factors based on the historic roots of mimetic architecture – advertising. 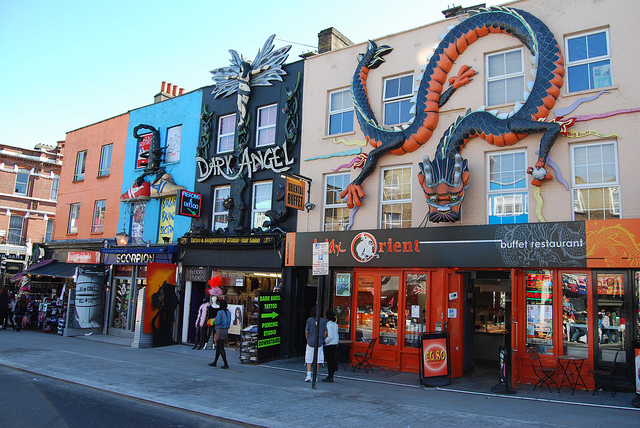 In Camden Town for example, where we have worked on a redevelopment scheme, many of the shop fronts boast artwork to include a giant pair of trainers on a show shop, a huge dragon above a Chinese takeaway, a crashed airplane over a leather store and an angel towering above a clothing outlet. What’s your favourite quirky building? Subscribe to our monthly newsletter for news about our projects, articles and the architecture industry.